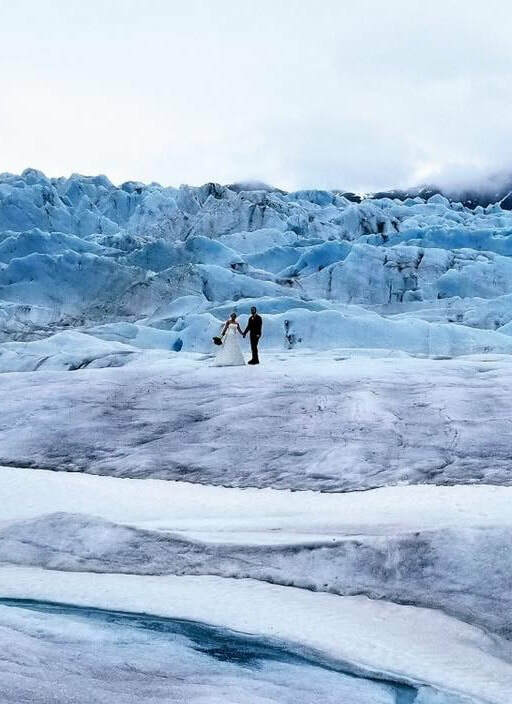 Are you thinking about getting married on a glacier? We will take you to the most exquisite views at elevations of over 2,500 feet, surrounded by glorious Alaskan mountains and wildlife! 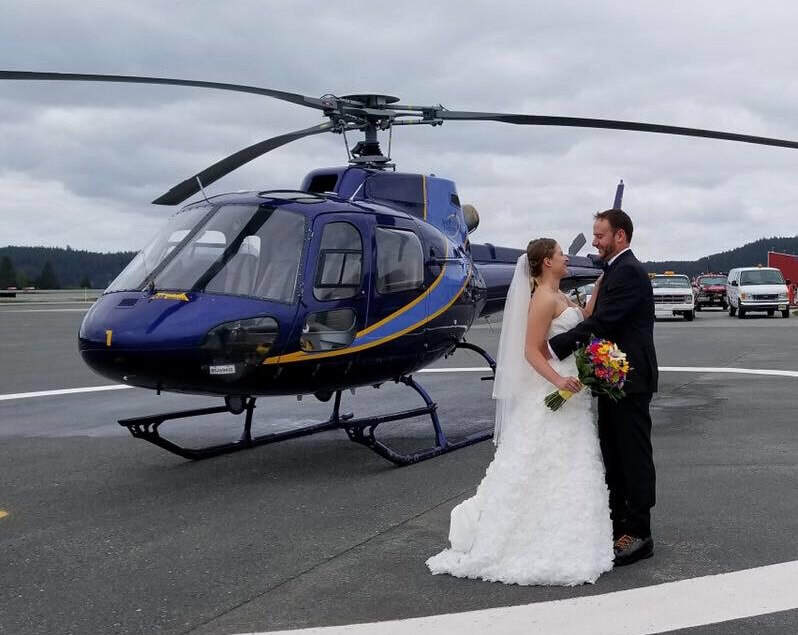 The helicopter provides our transportation to the most natural, captivating glaciers and ice fields overlooking Alaska’s natural beauty. During the flight you may spot some great Alaskan wildlife – so bring your cameras! You may spot a bear, a deer, or possibly a mountain goat! 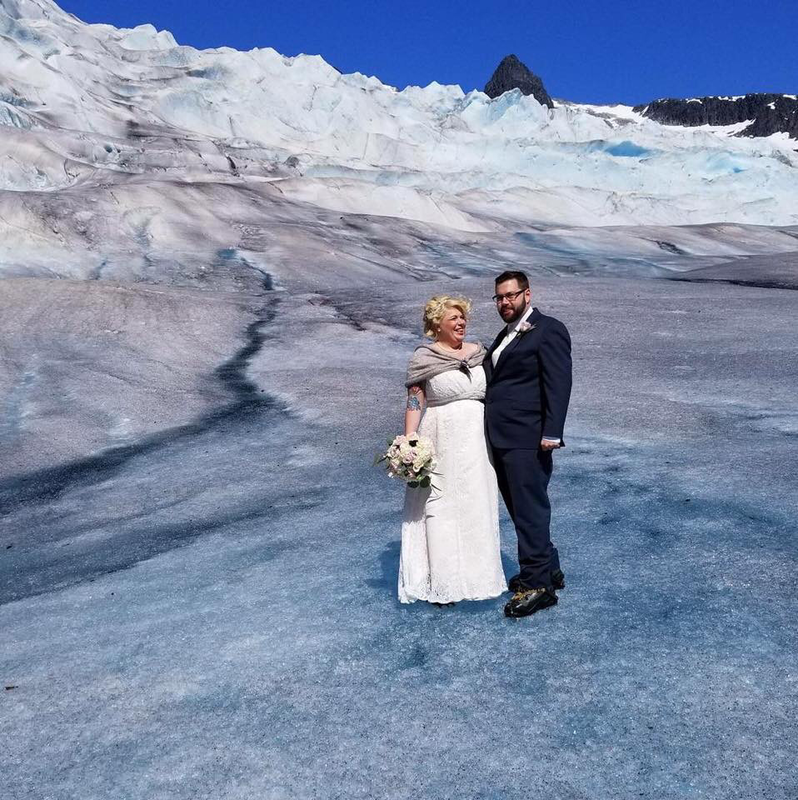 Creativation will help you with everything you need for your perfect wedding in Alaska. We will handle all of the logistics for the wedding and your honeymoon: from the photography, videography, music, floral, transportation, planning and catering services. You just need to show up! 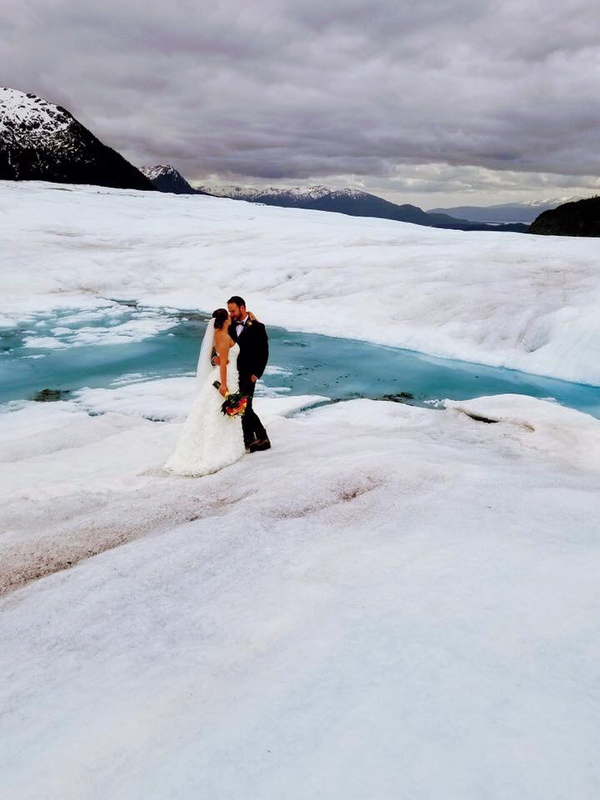 We plan both weddings for local Alaskans and those joining us from other areas. For more info on local wedding packages, please scroll to the bottom and click the link below for local packages and pricing. 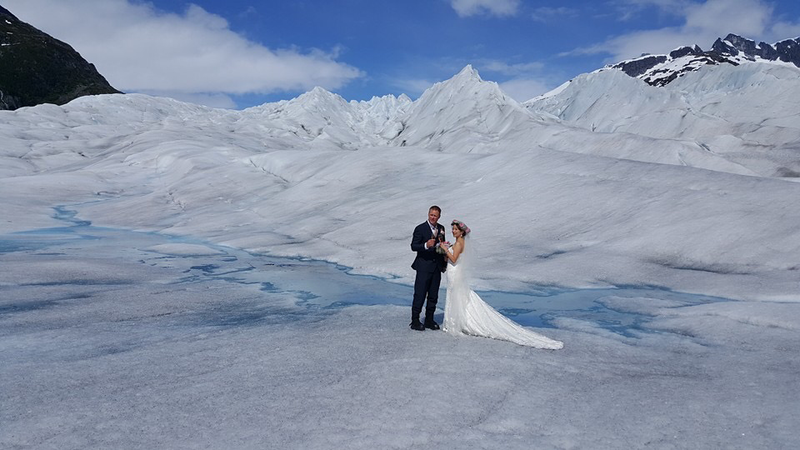 The first packages listed are for those wanting to get married on the Glacier.